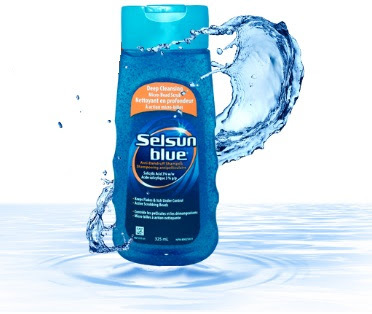 Flake relief from Aveeno, Selsun Blue and Head & Shoulders! 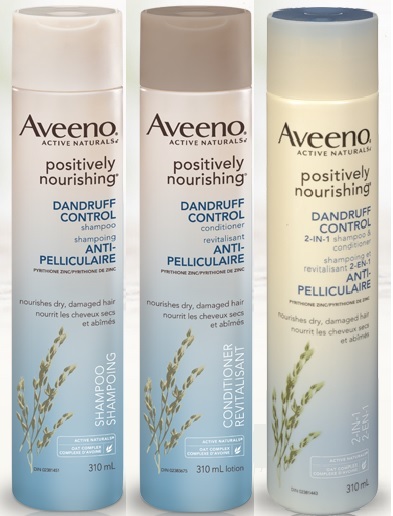 Aveeno Positively Nourishing Dandruff Control Shampoo, Conditioner and 2-in-1 Shampoo & Conditioner - 310ml - $10.99 - with a formula gentle enough for even colour-treated hair that is clinically proven to immediately soothe and hydrate dry, itchy scalp, control dandruff with pyrithione zinc and contains Active Naturals Nourishing Oat Complex to restore the healthy look and feel of hair and scalp. Selsun Blue Deep Cleansing Micro-Bead Scrub - 325ml - $9.99 - with unique cleansing beads that actively scrub away dead skin, as well as dirt and oil, before becoming visible white flakes and providing a refreshing and deep down clean. Formulated with 3% salicylic acid to effectively exfoliate the scalp's skin and attack the problem at the source. Head & Shoulders Damage Rescue Shampoo & Conditioner - 420ml/400ml - $5.99 - specifically developed to nurture scalp and dry/damaged hair with intensive care to leave hair up to 10x stronger in just four washes. Along with the proven anti-dandruff efficacy that you would expect, the pair also offers protection against breakage, moisturizing to improve flexibility and smoothness for hair that is soft, healthy and frizz-free. You'll find all the products here at drugstores across Canada.